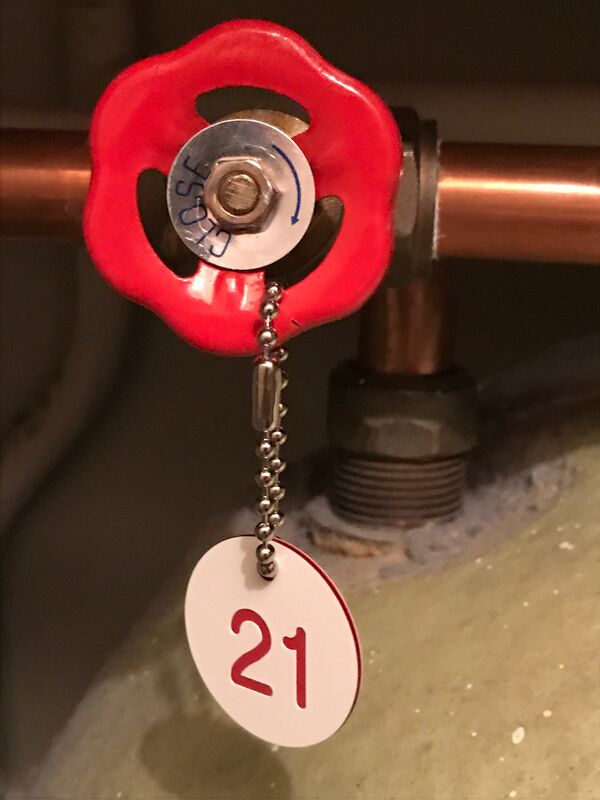 We supply traffolyte discs for identifying valves, stopcocks etc. They are available in all sorts of different shapes and sizes. They can be any size but our stock size is 40mm diameter. Click here for the available colours. Contact Jon for a quotation. 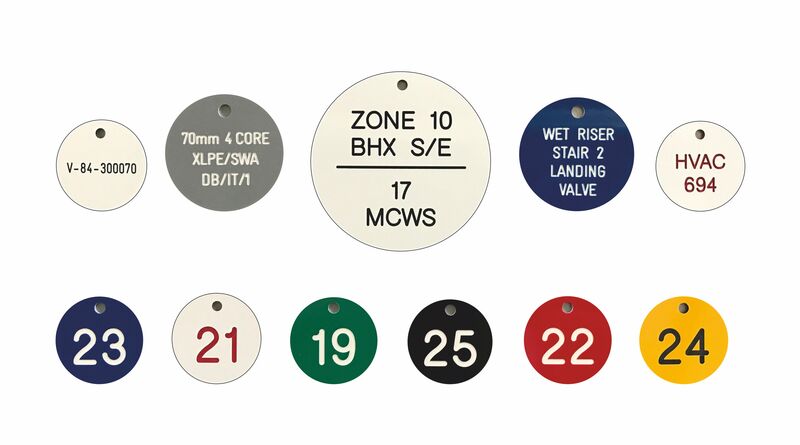 Traffolyte identification tags can be any size or colour with the engraved information required. They generally have a single hole in one end for fitting or hanging. Traffolyte isolation tags are generally supplied 3mm thick with rounded corners. 3.2mm Nickel plated brass ball chain can be supplied for fixing discs and tags. It can be supplied cut to length or by the metre for cutting by the customer. If you are looking for Traffolyte Labels, click here to see our range of labels.